Self-priming ability maintained with only a first fill during commissioning. High Self-Priming efficiency with minimized priming time. Guaranteed continuous operation even in presence of air penetration or pipe bends. All other sorts of Industries. 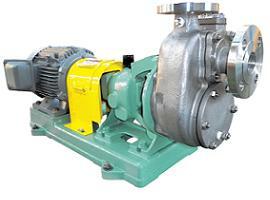 Ductile Iron FCD450 (For HC Series Pumps). 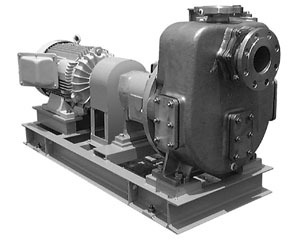 For cast-iron material the pump model is SPF or SPGF. SCS23, Nickel Alloy, Hastelloy, Duplex Stainless Steel, Titanium. Include balanced and unbalanced types. c. Additional Special Mechanical Seal may be installed on request. 3. The shaft seal dimensions are structured to serve as gland packing and a mechanical seal. Ball bearing (Oil bath system). Due to products improvement, please acknowledge that the above information might change without a previous notice. If you have any problems viewing our website, please report it using the following link.